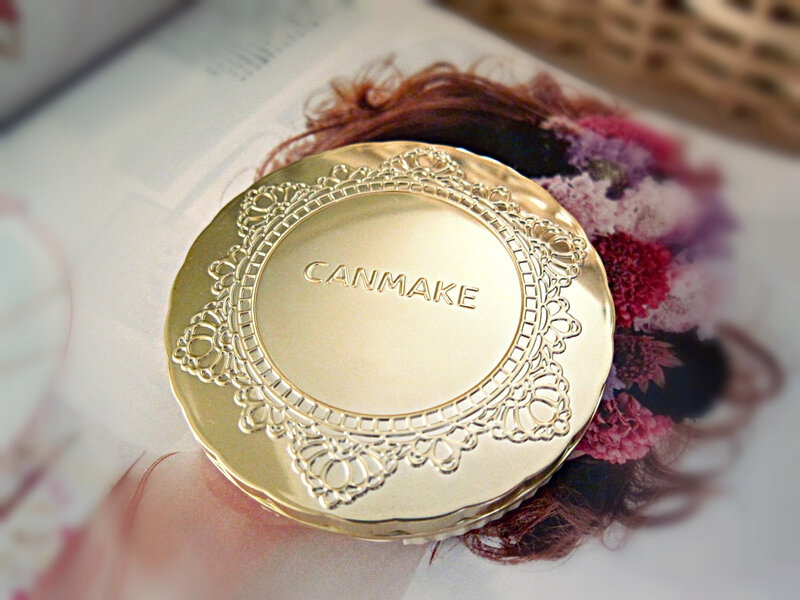 One of the Christmas presents I received was this powder foundation by Japanese high street cosmetic brand CANMAKE. The Marshmallow Finish Powder is a light pressed powder foundation used to set your foundation and give your makeup a clean and polished finish while making your skin look smooth and soft like a marshmallow. I love the packaging and I can’t help myself from gushing over its cute yet elegant gold case with the little lace brocade outline. You gotta admire the Japanese for putting premium on design second to quality which is evident in many of their merchandise especially cosmetics where packaging is everything even for drugstore brands like CANMAKE. The Marshmallow Finish Powder is made with 72% mineral ingredients free from additives, surfactant, tar-based pigments, alcohol and fragrance. It contains natural moisturizing extracts of aloe vera, rosemary and chamomile, toning extracts of horse chestnuts and perilla shiso leaves, and softening and smoothing extracts of Squalene, Olive oil, Jojoba oil and Grape seed oil. It’s very light and washes off easily with a regular facial cleanser. It also has SPF 26 PA++ for UV protection. I have the medium beige shade which has a light coverage. It easily blends with your skin complexion and has oil control properties to keep your makeup looking fresh and shine free. It’s very handy to carry great for touch ups throughout the day. Honestly, I haven’t used a pressed powder ever since I started using mineral loose powder. So when I tried using this, I was impressed that it kept my face matte for more than 4 hours before I needed a retouch. I wish it had more coverage though because it looks too natural for me but I guess that’s okay since you’ll have to touch up after several hours. The powder puff is a bit of a let down with its flimsy material. I think too much of the powder goes to waste so using a powder brush or kabuki brush would be better plus it provides an even and smoother application. Overall, Marshmallow Finish Powder performs better as a face powder than a powder foundation only because the coverage isn’t enough. But with its skin friendly ingredients and oil control function, the light coverage adds nicely on top of the BB cream perfect for that natural look. That gold power case is amazing!